Many of our gardens are modest in their size so space is at a premium but some lucky soles can boast more space and so you would think they can easily place large flower pots outdoors and not worry so much about how they fit in. 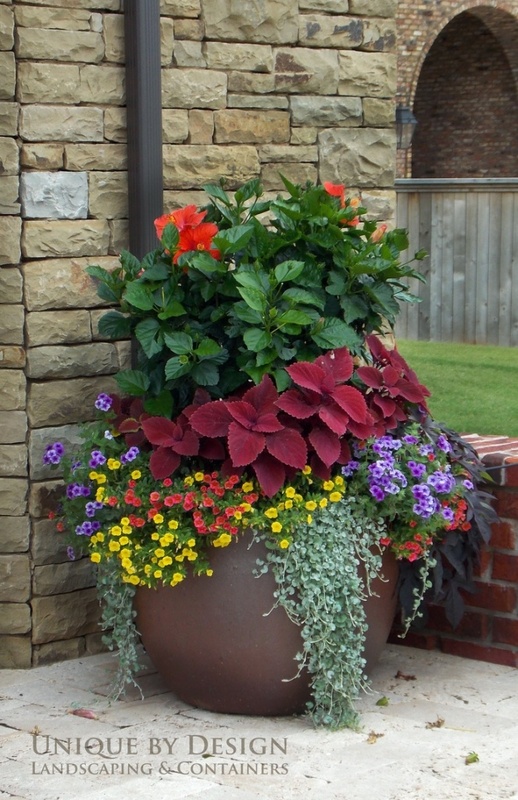 However, it isn’t about how much space you have with large flower pots but more how you use it. It is obviously going to be easier to place a large planter in a large garden but this means that it is also more likely to get lost in the foliage or surrounding design. In a small garden it is much easier to make a feature of the pot as it has proportionately much more presence. 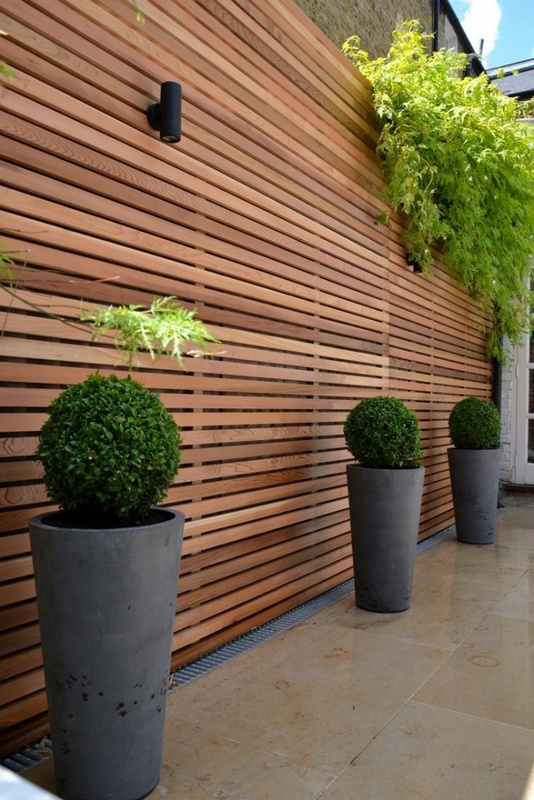 Having one or 2 large pots strategically placed can make a real impact on the design of your garden or house so why not try adding a couple either side of a door way, on the corners of a patio or having one in a corner or a courtyard garden to make it more interesting. The important thing when using a large flower pot is to keep other pots to a minimum other wise you may end up with a messy looking design. I found some nice examples below to have a look through a get inspired. There are various different ways in which you can plant your large planters and it really depends on the look you are going for. A colourful and vibrant flower pot will take many more hours to maintain and for a large chunk of the year will not look its best. However when it does look good it looks better than anything else. We all know of that house in the neighbourhood that has the amazing flowers out the front. The nice thing about having large planters if that they contain the foliage and it can be a good way to bring life to an area but also reduce the work involved in doing so. A flower bed with as many plants in as a large planter may need more love than the same amount of plants in a flower pot. Slugs and weeds are a constant battle with gardening but at least with a large flower pot you have a bit of defence. 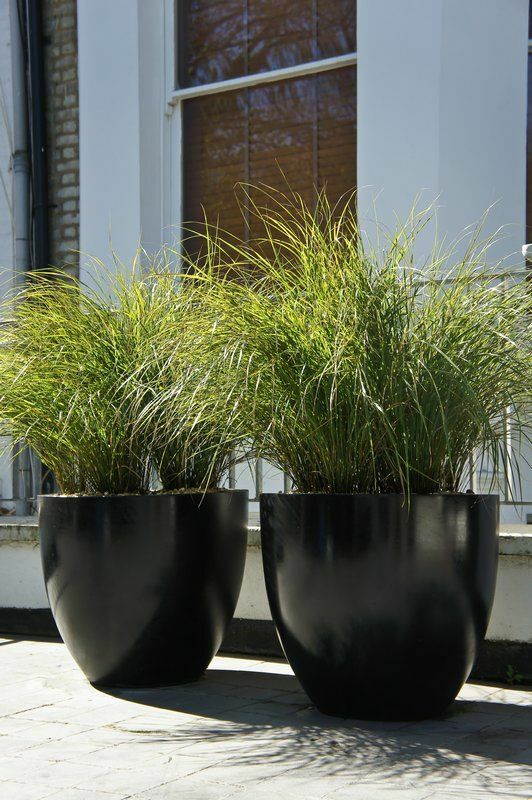 Although the planter is large and is a focal point the design and colour does not need to be striking. 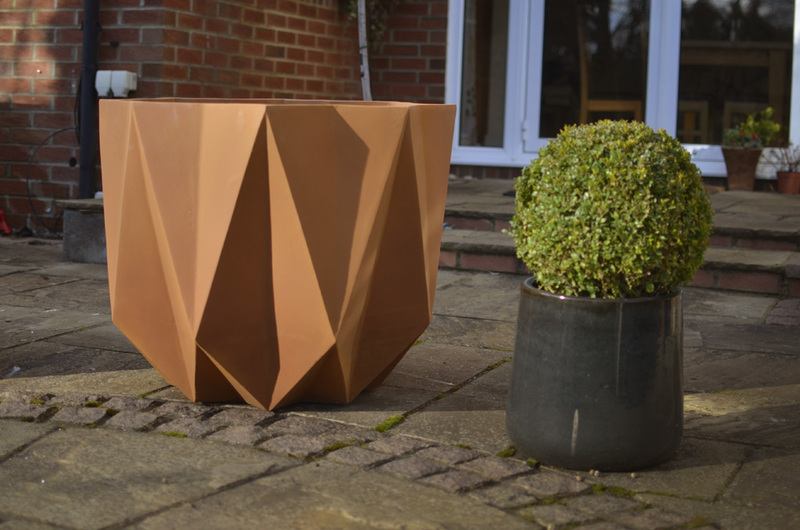 In fact many choose the safe choice of opting for a box or bowl because they know it will work, the more daring and design confident can take the risk of a more risky planter like my own. A stand alone pot can be good but often with many forms of design it is the whole work that brings it together and that is true with pots too. It is important to align them, space them and frame the correctly so that the design works as one. A very regimented garden design would look wrong with randomly placed wonky pots but perfect with neatly planted, placed and aligned examples.